Thanks to “Thank Heaven for Beer,” we’re able to bring you cool uses for hops in everyday life. Prost! There is little need to doubt what I think the best possible use for the hop is. There are good beers that don’t use hops, but in my mind, it is an indispensable product for the beer making industry in general. So, my number one use for the hop is simply good beer. We’ve mentioned numerous times why the hop works so well in beer and why it is so well suited to our favorite fermented product. I thought it would behoove us to mention some other uses of the hop that are pretty cool. Natural Deodorant: I don’t know what awareness level people have concerning deodorants/antiperspirants, but I want to mention that it is commonly believed that the aluminum agent in many of these products increases the risk of breast cancer and Alzheimer’s disease. Most studies on this have shown no or little correlative effect between the products and cancer, which is the same as saying, “It just ain’t so.” However, I am an advocate of using more natural products. Sometimes we just don’t know what may be the cumulative effect of all these foreign bodies that we are continuously putting into bodies. So, I switched to deodorant that has a more natural approach. Of course, you always want to know what’s in the product. As I looked at the label, I felt a sense of awe and inspiration. Why? Well, there was that amazing plant Humulus Lupulus (a.k.a., hops). That got me thinking about what else hops are used for. Before I mention the others, I want to note why hops work in deodorant. As noted at several points in the stream of our posts, hops have a preserving and antiseptic quality in their chemical composition due to their acids and other aspects. Part of what keeps a beer from getting bacterial infection (apart from a quick and thorough fermentation) is the hop. What makes an armpit smell? Well, bacterial waste products create that awful aroma of body odor. What can be done against such odds? In comes our hero, the hop. Similar to its function in beer, the hops slow and reduce the production of bacteria, which give off bad odors. Score for the hop! 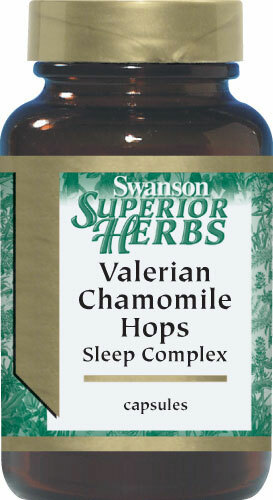 Sleep: I’ve literally passed out while brewing because of how intensely the hops relaxed me. Okay, that’s not really true. 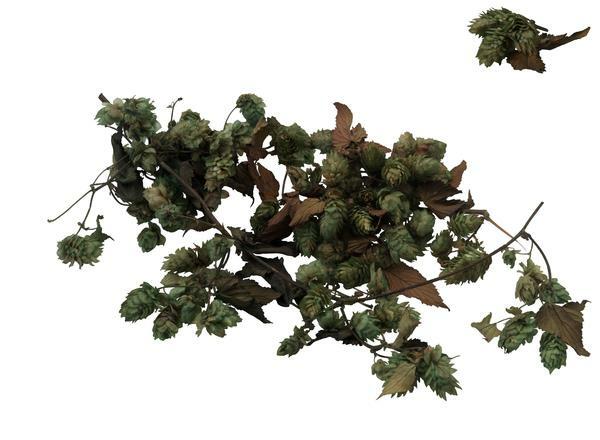 But some studies have shown that hops can be used as a relaxant or mild sedative. Some areas of the world have used pillows full of hops to promote sleep. Others have used tea to promote relaxation. The aromas and chemical qualities have been shown, in some studies, to aid in sleep and the reduction of nervousness. So, when people say they have beer to relax, it may be true on more than one level. 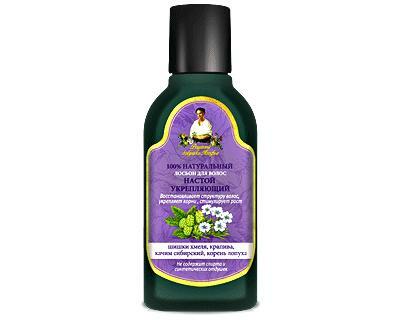 Lotions/Creams: Talk about giving hops some face time. 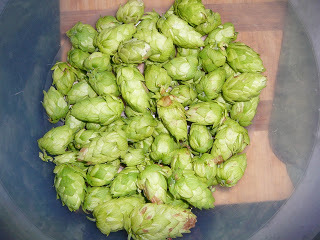 Again, the preserving quality of hops has led to their use in lotions and face creams. That’s why I feel compelled to rub my nose and face in the hops that I purchase. In fact, I have a baby pool full of hops that I dip myself into nightly. Needless to say, I’ve discovered the fountain of youth. I don’t tell many people this, but I’m actually two-hundred and eighty-four years-old. In all seriousness, the hop can be used to defy the aging affect…I’m really young on the inside. 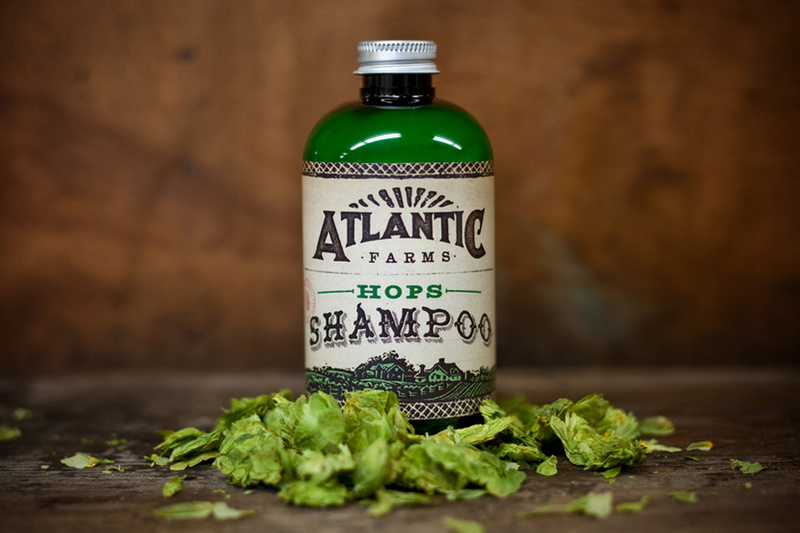 Shampoo: Nate told me to mention that there are hops in his Aussie shampoo. I’m not sure if it does anything or simply works as a pun. Isn’t there a kangaroo on the bottle? Those Australians and their humour! I’m sure that the antiseptic qualities are at play in the function of the shampoo. However, I know that numerous people appeal to the shine quality that is associated with the hop as well. Aussie shampoo uses do have a certain glow to them. I can’t prove it, but I think Moses must have been using Aussie when he was on Mount Sinai; it’s only a working theory. Food: Simple title, which includes beer. Did I mention that beer is the coolest use of the hop? There are some other food issues for with the hop works well. First of all, we have hops as a digestive aid. Perhaps the additional acids in the hops combine with gastric ones and create a more efficient digestion process. Whatever the reason, hops aid in digestion. Now you have another excuse to have an after dinner beer. 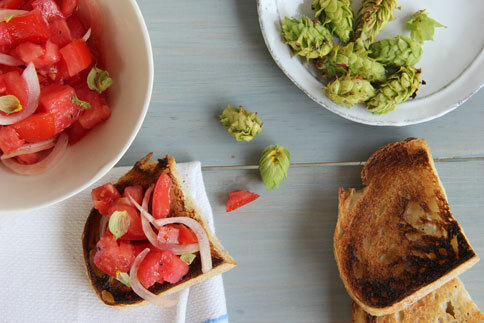 Beyond mere utility, hops can also be used in cooking itself. Hop herb butter or hops-marinated meats might be very useful ways to incorporate this amazing plant into more of your diet. A wonderful hop herbed cheese would be another good use. The creative possibilities are endless. This is a brief list of points to emphasis how great the hop truly is. Maybe hops are best used in beer but they have some other very nice uses. What about you? What do you think is a good use of the hop?